This product provides 24 time to the minute and elapsed time questions to review. 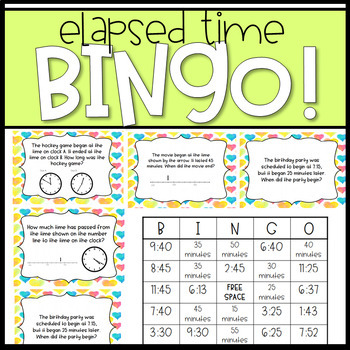 The questions require students to read a clock, number line, or gather information from a word problem to solve elapsed time questions. The slideshow PDF shows all 24 questions in color. The questions are also presented in a worksheet format if that is desired. Enjoy!